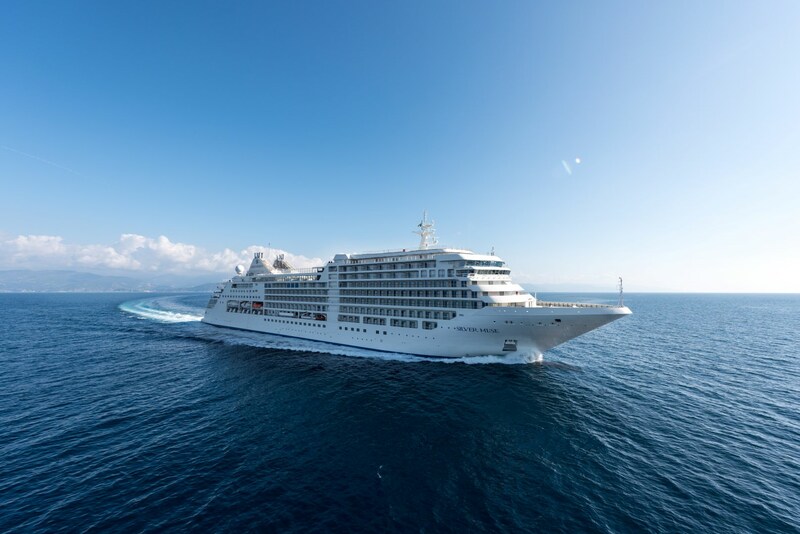 Ultra-luxury line Silversea recently took delivery of its newest and largest ship to-date, the 596-guest Silver Muse. Christened last month in Monte Carlo, Silver Muse represents the latest evolution of the line that began offering luxury voyages around the world in 1994. I had the opportunity to sail last month on a four-night media preview voyage from Genoa to Barcelona, and I was pleased to discover that although Silver Muse shares many design characteristics with the line’s 2009-built Silver Spirit, new enhancements have been added to make Silver Muse one of the line’s most unique ships. 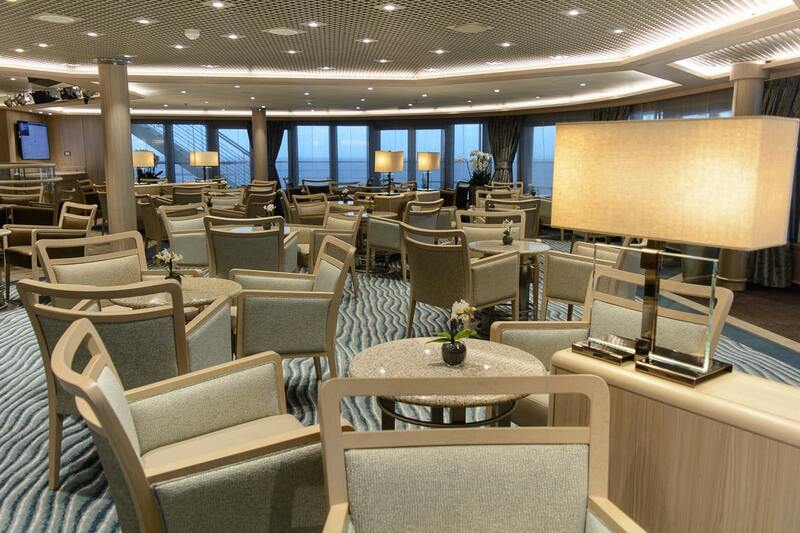 The first thing you notice when you embark Silver Muse is the grand, almost cavernous area known as Dolce Vita. The replacement for the traditional watering hole known as The Bar, Dolce Vita is absolutely sprawling, easily taking up twice the real estate that The Bar aboard Silver Spirit did. Also located within this area are the ship’s Guest Relations and Shore Excursions desks, the Hotel Manager’s office, and the entrance to the ship’s forward and midship staircases. 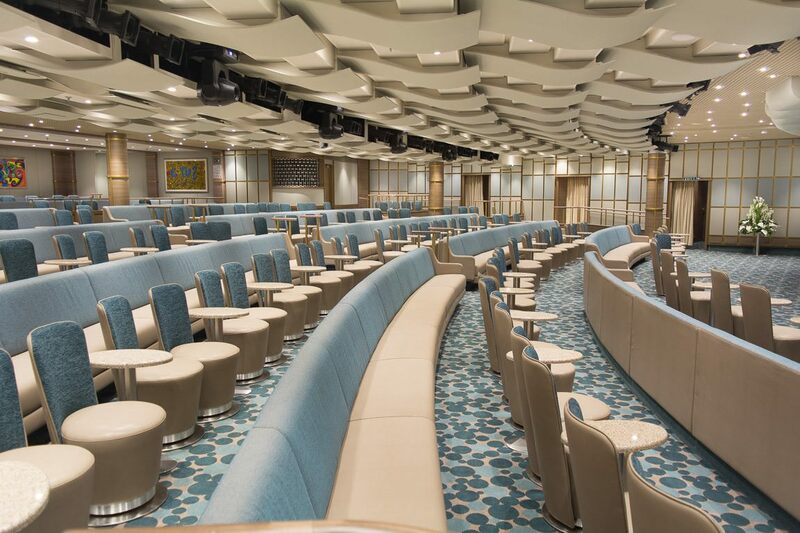 It’s just one of several new and rethought public spaces onboard that help make Silver Muse feel spacious despite her slightly larger guest capacity. 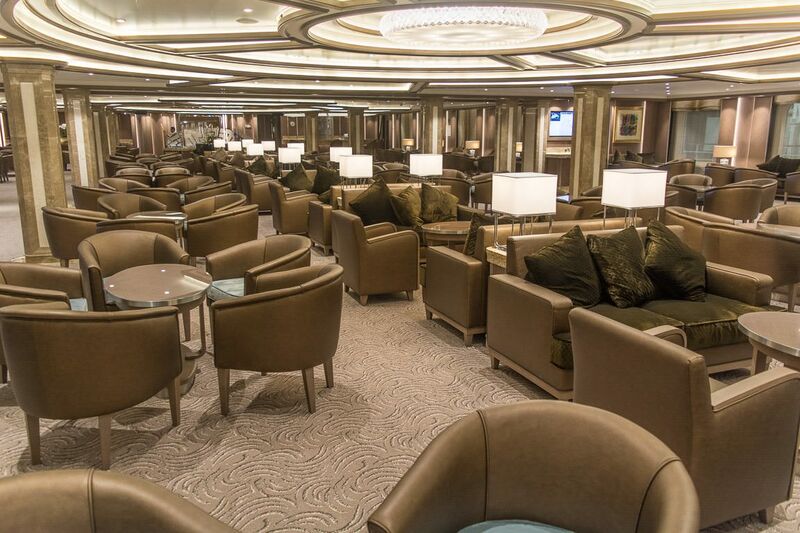 Other noteworthy public rooms include the Arts Café, which serves up caffeinated beverages in a funky setting at the ship’s stern; and Tor’s Observation Lounge, which rests in a commanding spot high atop the ship’s Navigation Bridge. 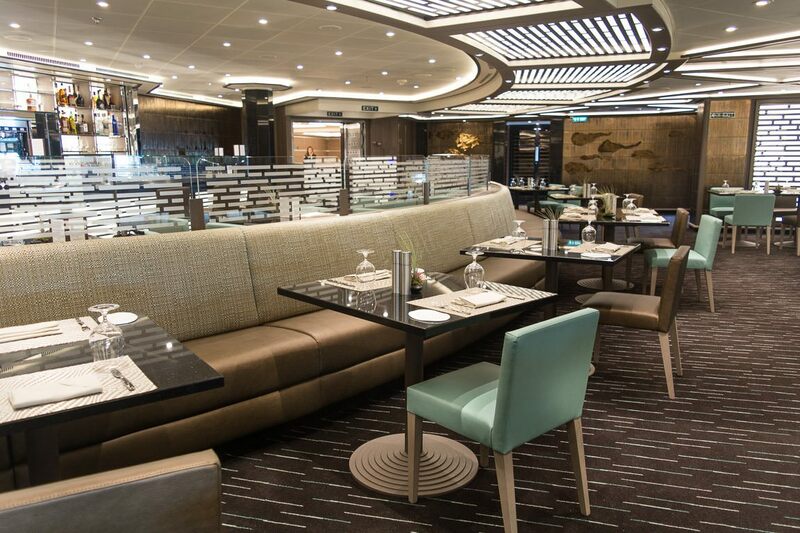 The latter is named for Viking Cruises Chairman Torstein Hagen, who named a specialty restaurant aboard his new oceangoing ships after Silversea’s chairman, Manfredi Lefebvre d’Ovidio. 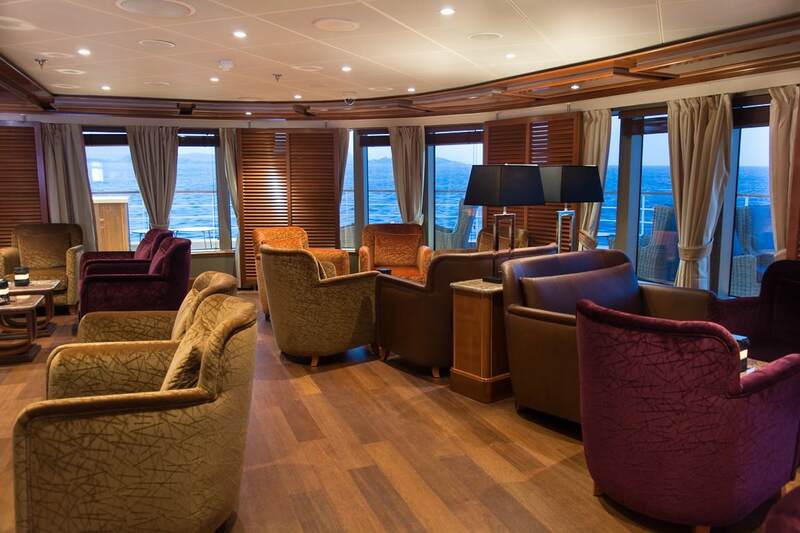 Silver Muse also features a substantially larger (and much-improved) Connoisseur’s Corner, which serves up fine cognacs each evening; and a high-tech show lounge. The end result: You may be left wondering where everyone is. This ship is that spacious. It sounds like a small detail, but it’s not: Silversea substantially increased the width of corridors leading to guest suites. Two people can pass in opposite directions without any issues; something that wasn’t always possible on the line’s previous ships. On Deck 9, where I was residing for four nights, some of the hallway vestibules were so big you could have done a cartwheel from one side to the other without striking the wall. I don’t recommend trying that, however. 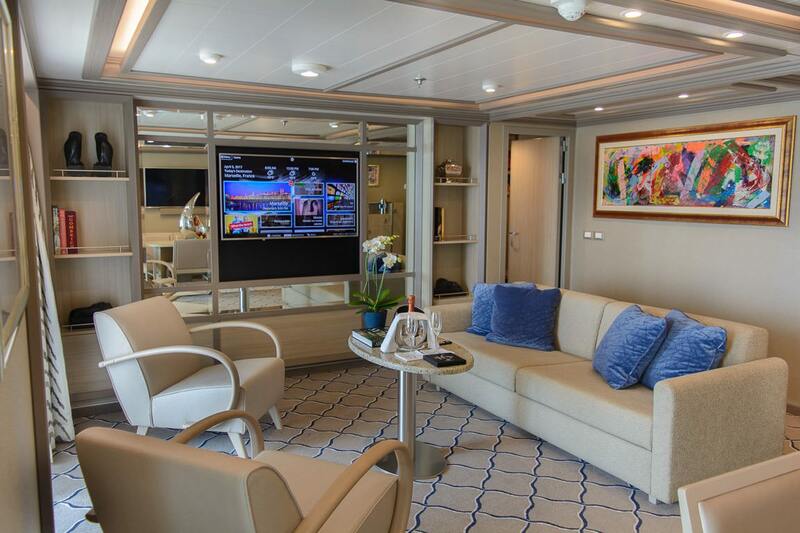 This sense of spaciousness has been applied to suites aboard Silver Muse, which are larger than those found aboard the rest of the fleet. Even the base-level Classic Veranda Suite comes in at 387 square feet, including balcony. And all suites, right across the board, now have better lighting and a softer, brighter décor scheme. Bathrooms are largely untouched from those on Silver Spirit, save for the new shower doors that are easier to open than the tempered glass ones aboard Silver Spirit. You’ll also find more electrical outlets in suites, including USB outlets that are handy for charging your mobile devices. Silversea has always been known for pampering its guests, but those who elect to stay in the top-of-the-line suites aboard Silver Muse will get even more perks for doing so. 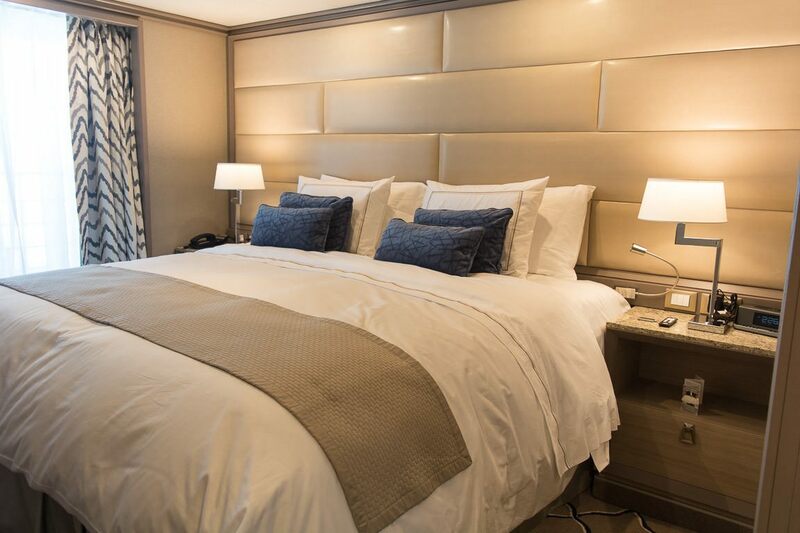 Guests staying in the Owner, Grand and Royal Suites onboard Silver Muse will be able to sleep in plush, oversized beds crafted specially for Silversea by Savoir of England. The phrase, “sleeping on a cloud,” has never been more appropriate: These are some of the most lavish beds at sea. In the past, guests booking the top-of-the-line suites aboard Silversea ships have had their bathrooms stocked with Bvlgari White toiletries. Now, these guests will be able to choose between five different Bvlgari lines, including special scent sachets for bubble baths drawn by their butler. Though not specific to Silver Muse directly, one of the line’s most pampering options is its All-Around Dining, which allows guests to order food to be delivered anywhere on the ship. Simply pick up a house phone, place your order, and your meal will come to you. In our connected world, internet connectivity and onboard interactive media are quickly becoming two of the most in-demand items. Silversea addresses this on Silver Muse with some of the speediest internet in the fleet (check out all the satellite domes on the top deck); and a new interactive TV system that is better and more modern than the ones that have come before it. Internet speeds were impressively fast on my sailing, even though nearly the entire ship was trying to access it all at once thanks to being occupied entirely by corporate, media and travel agent folks. Fans of watching a movie in their suites while onboard will be pleased to know that Silversea still offers complimentary movies on-demand, along with a variety of live TV channels, all of which are presented with great resolution. This digital accessibility also applies to your onboard keycard. RFID-equipped, you merely have to tap it against your suite door in order to open it. Getting on and off the ship requires the same simple tap, replacing the days of scanning barcodes or swiping cards through a machine reader in order to embark and disembark. Silversea’s warm, dedicated crew members are an essential part of its onboard experience, and a key reason for its Venetian Society past guests to return to sail again and again with the line. Aboard Silver Muse, Silversea has assembled some of the best crew in the fleet, led by Captain Alessandro Zanello, Hotel Director Paolo Percivale, and Cruise Director Jimmy Kovel. This is an important point, because with more public rooms, dining venues and amenities than ever before, the crew of the Silver Muse have to be on top of their game. And they are. While some staff members are still learning and getting up to speed with the new ship and its challenges, the service right out of the Fincantieri shipyard in Genoa surpassed expectations for what really amounted to a “shakedown” cruise. I wouldn’t have ordinarily expected such a level of polish, but the crew of the Silver Muse were running on all cylinders during my brief voyage. With Silver Muse, Silversea is marching to the beat of its own drummer – and rightly so. You’re not going to find Scandinavian chic décor here (which, of course, works on Viking’s beautiful ocean ships), or design trends that are so hip they hurt. Instead, you’re going to get a modern dose of what Silversea does best: classic elegance, presented with great food, polished service, and an onboard atmosphere that is so soothing that you may not even want to get off the ship in ports of call – and indeed, many don’t. Silversea’s new Silver Muse will cruise the Mediterranean and Northern Europe this year before she sets sail for Canada and New England, the Eastern Seaboard, and South America.